Len has always incorporated fitness as an integral part of daily life: pedalling or walking to work, playing hockey through the winter, or signing up for a race to have a training goal in sight. Realizing that inactivity adversely affects your health in a myriad of ways – and then making sure to do something (you enjoy) about it, which you will stick with (for the long-haul), is probably the most common obstacle we all need to overcome on the path to leading an active lifestyle. 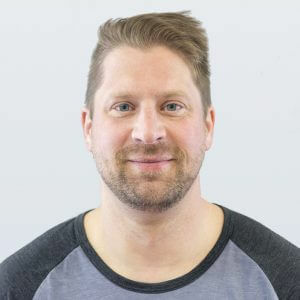 With a background in Biological Sciences from the University of Alberta with studies in Molecular Genetics (1997) and Plant Molecular Biology and Biotechnology (2001), Len has been teaching his clients how to meld the Science and Art of physical activity into a cohesive whole for the past 15 years. Len believes that teaching his clients to move efficiently, and confidently, will help them stay injury-free, motivated to strive for new challenges, inspired to incorporate regular physical activity into their daily lives, and to recognize that the whole truly is greater than the sum of the parts. Inquire about corporate training and corporate management.